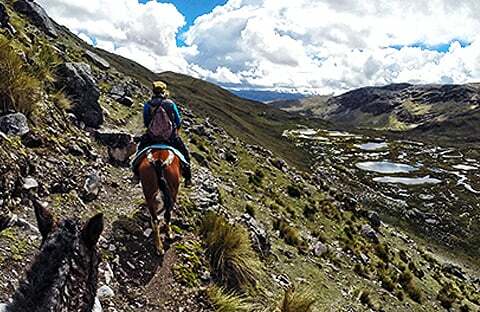 The Tour Horseback riding “Cuatro Ruinas” is a combination of horseback riding and visiting the most impressive ruins in Cuzco such as the ruins of Tambomachay, Saqsawaman, Qenqo and Puca Pucara. The entrance ticket is not included in price and costs 70 Soles per person, 40 Soles with ISIC student card. You can purchase tickets directly by the entrance. This tour suggests trekking on our way back, no transportation (15 minutes walk to downtown). For this reason you have the possibility to stay longer in Saqsawaman Inca site or other ruins. You can take a taxi from Saqsawaman to Cusco as well (10- 15 Soles). We are flexible to organize your departure at the time that suits you at most. The landscapes between Yuncaypata valley near Tambomachay Inca Complex and Saqsaywaman are incredible and offer unique views of the mountains toward the sacred valley region crossing the old Inca road to Pucamarca and Huchuy-Qosqo. 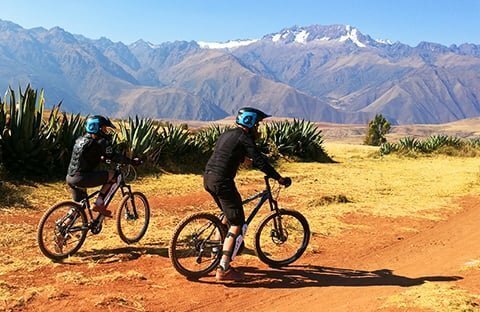 You also will enjoy the Andean valleys as well as the 4 famous arqueological sites of this region Puca-pucara,Tambomachay, Qenqo and Saqsaywaman as well as the temple of the moon and the monkeys cave. You will have a nice view over the majestic Ausangate snow mountain looking toward the south. 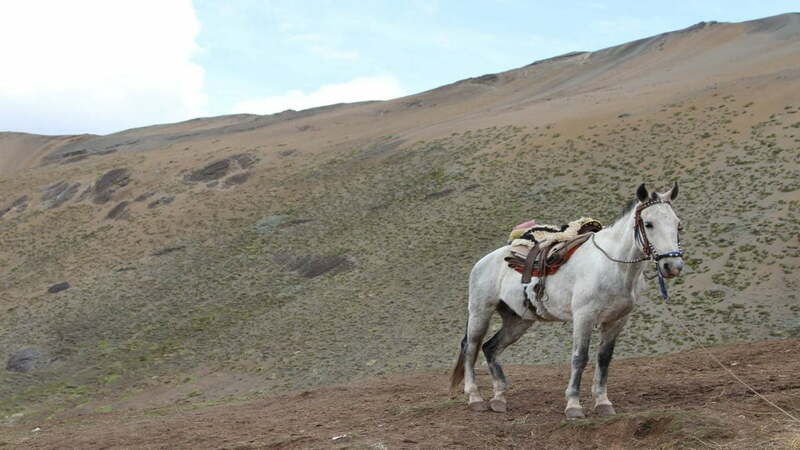 You will be picked up from you hotel by our private transport and brought to the Ranch near Qenko where you will be set up with our horses and meet the horseman who will walk with you through the extent of the trek until Saqsayhuaman. We will continue our way in direction of the ruins of Qenko. You will get an option to buy a tourist ticket to have a deeper overview but usually the wonderful view of the ruins that opens on the way is satisfactory enough. The horseman will mind the horses while you explore. 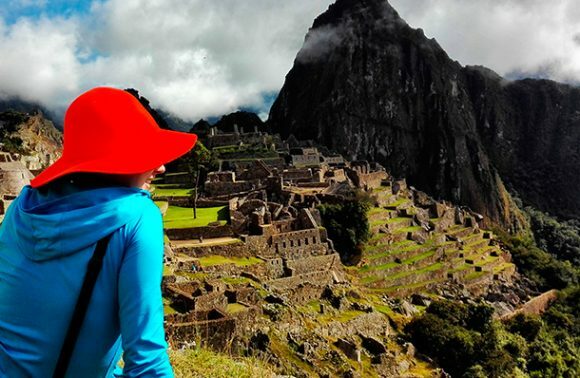 Our next step would be to follow a small dirt path, alongside a road, up to the next place, Puca Pucara, known as “The Red Gate”, for it was used as the controlled entrance to the city of Cusco in the days of the Incas. Then you’ll find yourself on your way to Tambomachay, known as an Inca “bath house”, which was also used for the worship of water. On our way back we will be passing through a eucalyptus forest before finally reaching the ranch. We will also see the famous Inca temple, Saqsayhuaman, the place where the Incas worshiped lighting. We will leave you at Saqsayhuaman so you can take as much time as you want at this beautiful site. Rain poncho in case the weather is cloudy.